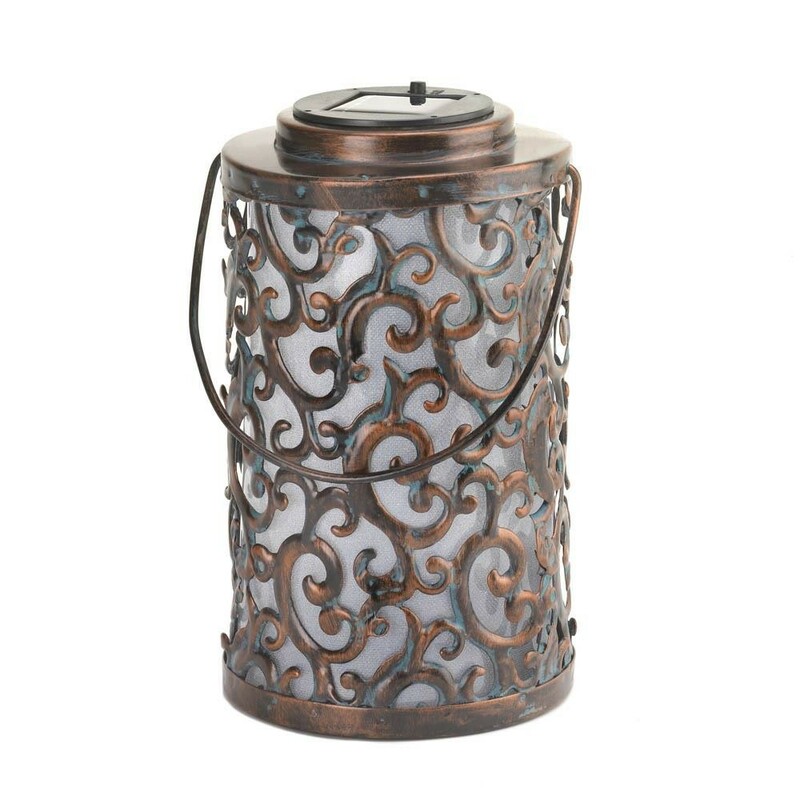 The gorgeous iron swirls and flourishes makes this solar-powered lantern a beautiful accent for any outdoor space. The built-in solar panel at top will soak in the suns rays all day long, and by night the interior will glow with magical light. 5" diameter x 8 1/4" high; 12 3/8" high with handle.